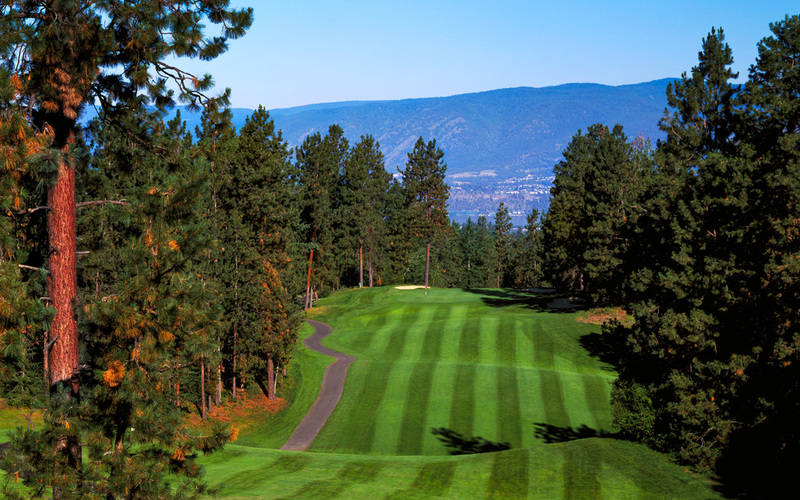 Designed by the talented architectural team of Bill Robinson and Les Furber, The Canyon Course offers 6,802 yards that play past cheering throngs of Ponderosa pines and route in and around a steep canyon. 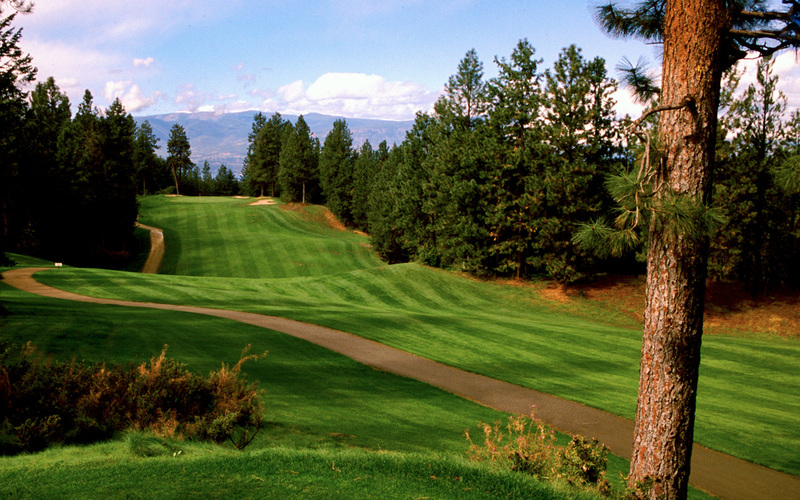 The ninth tee presents one of the best views of the day: of a stream winding through the canyon bottom way below. And you may need some luck, as three par fives cluster around the turn between holes nine and twelve. From the back tees they all stretch to more than 500 yards. Gallagher’s closing holes present vertical poplar and pine tree hazards to challenge the route to the final greens. Liquid rewards await on the clubhouse deck. You are forced to make a tough decision at the tee. The safe tee shot is a mid-iron to the bottom of the gully, approximately 150 yards from the pin. The approach is blind and requires you to hit one more club to the green. You may decide however, to carry the gully. This is a potentially treacherous route but one that leaves you with a short pitch shot to the green.